Technology + Managed Services are in our DNA. That's why more than 650 alternative investment and financial sector companies around the world trust us to manage their technology operations. 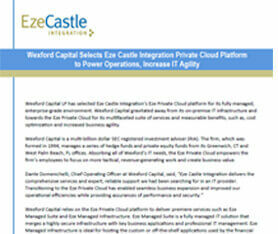 And when it comes to Public & Private Cloud solutions, we're the gold standard. Read on to discover why the world's leading financial firms team with us. See what our clients are saying about our Ezetastic Support! New technology is emerging, cloud computing is becoming the new norm and cybersecurity threats are growing exponentially, but how does this impact investment management firms across the globe? 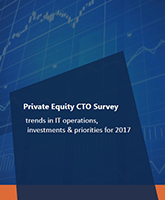 Eze Castle Integration's Private Equity CTO Survey examines how today's private equity firms are making investments in technology, outsourcing to the cloud and warding off cybersecurity threats. 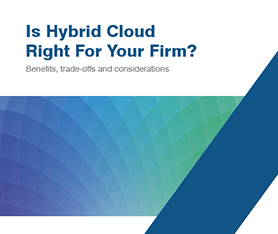 Whitepaper: Is Hybrid Cloud Right For Your Firm? Marrying many of the most compelling features of the public and private iterations, the hybrid cloud is catching the attention of many financial and investment firms interested in a flexible solution. Read about strategies and best practices for protecting your firms' data, assets, and corporate interests. 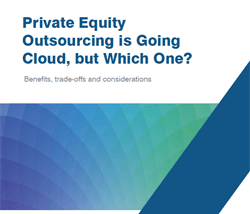 Whitepaper: Private Equity Outsourcing is Going Cloud, but Which One? 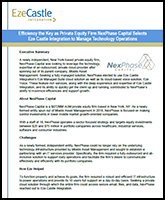 Discover why this New York private equity firm opted to move operations to the cloud and the benefits they're gaining from a managed service. 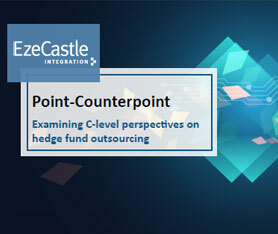 This whitepaper will look at various C-level perspectives on IT outsourcing – including where certain executives may differ on its value, where those same executives can agree, and ultimately why outsourcing IT and using the cloud sets alternative investment firms up for success. Are you due for a hardware refresh? Are your servers showing their age or applications running slower? As investment firms find themselves growing their infrastructure, they also find that their technology is reaching its limits. Enter: the cloud. 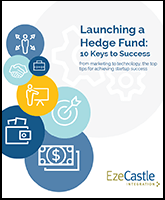 Launching a hedge fund is a serious undertaking. Luckily, we've developed a framework of practical options and knowledge to help you make informed business decisions as you go through the launch process. 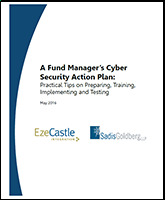 The Fund Manager's Cyber Security Action Plan examines the changing regulatory landscape for investment advisers and offers practical cyber preparedness tips for hedge funds and private equity firms. Read our 10 keys to launching a successful hedge fund and get started on the right foot as you journey to startup success.